One of my favourite parts of attending Sunday Mass is the beloved hymns we would sing each week and the restorative power of its lyrics and melody. Growing up, some of these music and words have helped me through difficult times and some of the ones I’ve discovered when I was younger have transformed in meaning as years have gone by. Comprised of lead vocalist and new frontman Michael Tait and his creative musical team of Jody Davis (guitar), Jeff Frankenstein (keys) and Duncan Phillips (drums), Newsboys is an instrumental and iconic rock and pop Christian band, with a colourful career spanning almost three decades. When I heard that Newsboys were releasing their highly anticipated first Hymns album, following the heels of their highly successful 2013 album Restart, I was curious to discover what they had to offer, given the newer upbeat, bouncy sounds I am used to hearing from this band. To my delight, the album features an array of breathtakingly fresh arrangements of some of the most poignant hymns including “Jesus Paid it All”, “Holy, Holy, Holy”, “It is Well” and “All Creatures of Our God and King”. 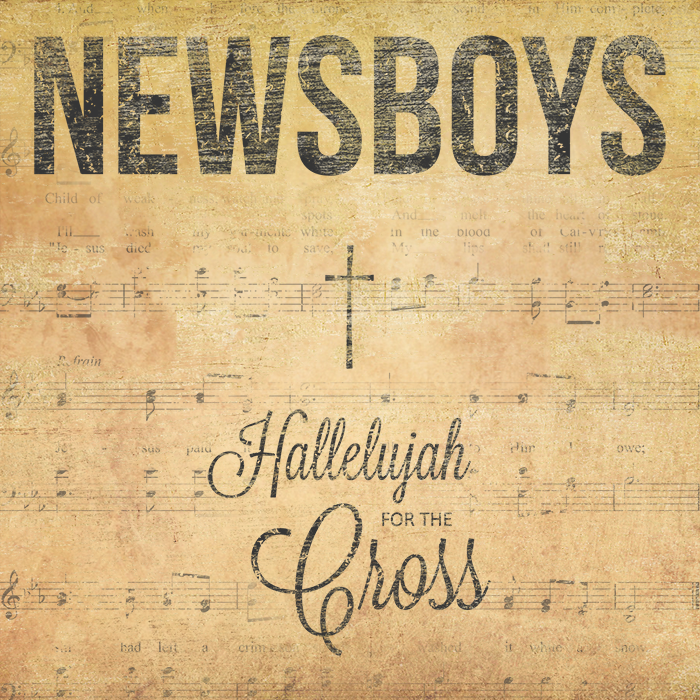 It also offers new arrangements of the classic Newsboys song “Where You Belong” with “Turn Your Eyes”, revamped for a new audience and one original selection “Hallelujah for the Cross” that has garnered enormous praise from Christian radio stations. The one original track on the album, the title track, penned by Ross King and Todd Wright, “Hallelujah for the Cross” is a reverent song that vivdly depicts Christ’s journey to “the hill of Calvary” where “My savior went courageously and there he bled and died for me”. Accompanied by an infectious march of the drums and Tait’s soaring vocals, this song is lyrically and melodically powerful and one of the best songs to come out from this release. In “Where You Belong/ Turn Your Eyes Upon Jesus”, the band returned to their roots with a track originally featured in their 1992 album, No Shame but now reinvented with a pop-rock sensibility. This track, which blends the Newsboys song “Where You Belong” with the old hymn “Turn your Eyes Upon Jesus”, offers a blast from the past for older generations of Newsboys fans. This version however is far more upbeat and rockier than the traditionally raw and hauntingly moving original, but is as powerful in its meaning. The song highlights Jesus as a source of hope, love and grace and the lyrics in the verse “I was numb until he touched me, I was deaf until he heard, I was senseless ‘til I met the one who understands” illustrates the sense of belonging we can find when we look towards our Saviour. Personally I prefer the original to this contemporary rendition, but this new perspective is also brilliant. Whatever my lot, Thou hast taught me to say, It is well, it is well, with my soul” outlines that God can bring peace to us even in our deepest struggles and trials. As Tait noted, “Growing up in the church, hymns were an essential component of traditional worship. For as long as we can recall, we have loved the very essence of hymns. The writers of many of these majestic pieces wrote them during very painful, trying times of distress but Redeemed places. To this day, the hymns of old still move us like nothing else, and by having the opportunity to bring focus back to them today in a modern style, we hope that they shall never die.“ In this Newsboys version of “It is Well”, Tait’s passionate declaration of “…The trump shall resound, and the Lord shall descend, a song in the night, oh my soul!” followed by the triumphant chorus, offers us as listeners, a renewed sense joy and hope. The Kristian Stanfill version of “Jesus Paid it All”, was initially treated with a more subtle light electric guitar strumming and Tait’s softer vocal tones which embellishes this simple melody. Towards the end of the song the track explodes into a symphony of guitar riffs and pulsating drum beats as Tait proclaims “O Praise the one who paid my debt, And raised this life up from the dead” reminding listeners of God’s grace and our sins that have been erased and paid for by Jesus. While this version offers little new to the song, it was nevertheless refreshing to hear a different artist and voice cover this classic hymn. At times during this album, I did long for the more reverent and intimate musical structure of these songs namely with the piano/guitar, choir or a cappella, which I have grown accustomed listening to and singing at church. Some listeners may even feel that the music distracts a little from the lyrics. Yet I felt as as an album it had enough light and shade needed to keep us interested and take us on a journey, and I was reminded of this in the surprising a cappella and choir filled final track “All Hail the Power of Jesus Name”. Carried only by Michael Tait’s vocals and the layered choir filled track, the harmonies praises Jesus and the majesty of the Lord. It was for me, the stand out track on the album and I wish they could make more songs of such style, perhaps in their future works. 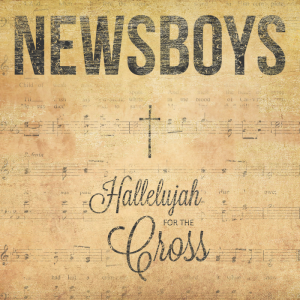 In Hallelujah For The Cross, Newsboys delivers a passionate blend of fresh and uplifting sounds and instrumentations that is distinctive to Newsboys, while keeping true to the truth, wisdom and meaning behind these songs and respecting the melody of these timeless collection of hymns. It further showcased the creativity of the band to contemporize classic songs and bring it new life to a new audience. It is absolutely an album that would appeal to generations who have treasured these songs over the years and for the new generation of worshippers who are only just discovering these treasures of hymns written years ago. As a band that has been around for many years, Newsboys continue to explore new musical boundaries and surprise us in the best ways through their gift of music. 4 Songs to listen to: All Hail the Power of Jesus Name, Hallelujah for the Cross, It Is Well, I Surrender All. It’s good to see this album being reviewed and I have thoroughly enjoyed the review. This album kept me listening from start to end. I’m not a big listener of hymns but I can tell you that NewsBoys changed my mind. My favorite tracks are: Where You Belong/Turn Your Eyes Upon Jesus, It is Well(my most favorite), His Eye is On the Sparrow and Jesus Paid it All. Thanks for the review Nelson.